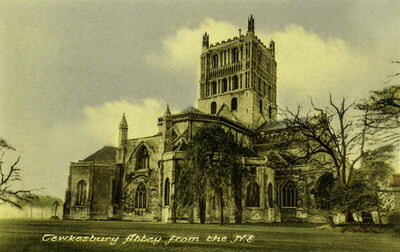 "Tewkesbury – Tewkesbury Abbey from the N.E." Tewkesbury – Tewkesbury Abbey from the N.E. One color postcard with an undivided back.